My book review of The Handmaids Tale overlaps with a tale of my own. When I read the book and did my final thesis my Senior Year of College, it felt as if I were the living embodiment of the Margaret Atwood's message of the book. My Senior Year of college I took a Margaret Atwood Seminar. We read all of her works and then there was a final 25 thesis at the end of the year on one of the books we were required to read. Our whole grade depended on this final thesis. When we read The Handmaids Tale my male professors argument was that women were only seen as what Margaret Atwood portrayed as either a wife, mother, or housemaid. During class I disagreed. In the discussion I stated that there existed professional women who are single and don't have children. My professor disagreed with me. His argument was that women in today's society were still viewed and existed in one of those three categories. For my thesis, I researched evidence to prove to my Professor that Margaret Atwood rebelled against how women are portrayed or perceived in society. One day after I had handed in my thesis, my professor asked me to stay after class. He said. "You defended your argument well but I don't agree with it. Write it based on my argument and I will give you an A, keep your argument and I will give you a C."
It dawned on me at that moment, that my professor was one of the men who perceived women as only a wife, mother, or housemaid. It was as if the book where truly happening in real life. Was Margaret Atwood was right about how men viewed women? Yes. Rejecting all the effort I put into my paper he was asserting his power and control because he knew my grades were the key my future. Senior Year was interview year where GPA's and everything was under tight scrutiny. I remember a previous class when he casually mentioned during a lecture on how focused we students were on getting a job and the pressure we were under. "Ironic" I thought as I stared at his smiling face. All the hours spent in the library, wasted. Time wasted and my opinion tossed aside, I decided that to ensure a better future for myself I would be forced to change what I believed for the grade. The situation made me feel powerless and lost. Defeated. Something in me also broke. It was at that moment, my desire to be a full time writer or English Professor ended. The hours of research wasted on a paper that some people might never read or even hear of felt like hours of my life taken away that I would never get back again. At that moment I decided I wanted to have the ability to write what I wanted to write. I wanted to have the freedom to write my opinion. My decision to change my argument now turned into a means to an end. Good grades to be able to work in Business full time and write, what I wanted, part time as a hobby. My desire was to write my own arguments with no one having control over me or my writing. My desire was also to prove that a woman could fit into a different category than what the book portrayed. 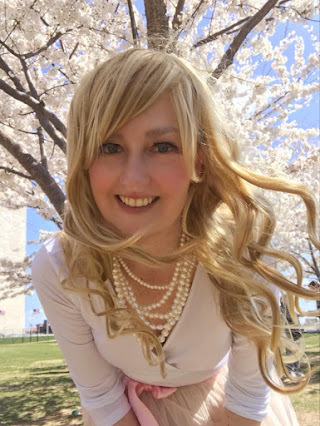 Sophisticate in the Suburbs for me began about a single independent woman who was confident, happy, and self-assured without having children or a husband to complete her. The Handmaids Tale is about a society where men dominate and decide a the fate of every because they have the power. For me, it is a "tale" and something to learn from. My professor may have asserted control over me for the moment but in the end I decided my fate. 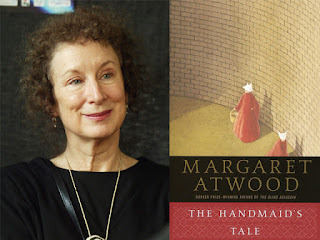 Thanks to the "tale" told by Margaret Atwood, I was able to decide my own fate, take action, and now writing as a hobby i am in control of what I write and who I wrote about. In he end, I felt like I was victorious because my ideas on feminism were shaped from the painful lesson I learned about how some men view women. Also, I achieved being able to have the freedom to write what I want to write.